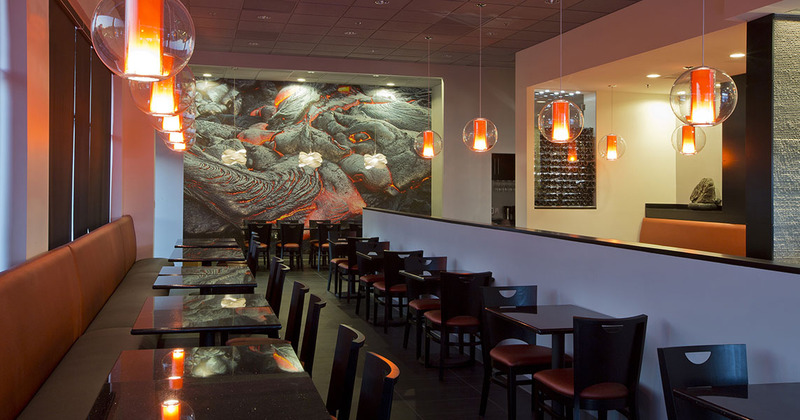 Volcano Hot Stone Grill was designed on a very limited budget, with a desired aesthetic to match that of lava cooking stones. 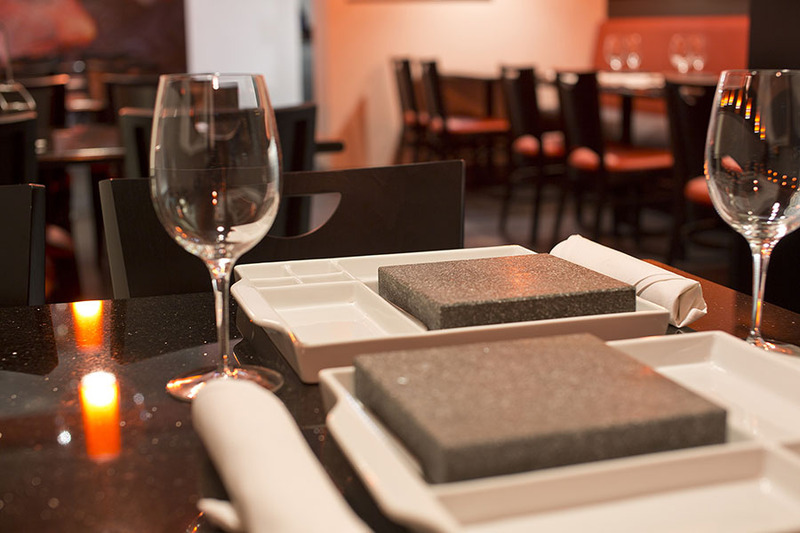 The materials used recall igneous rock, volcanic stone, and lava. 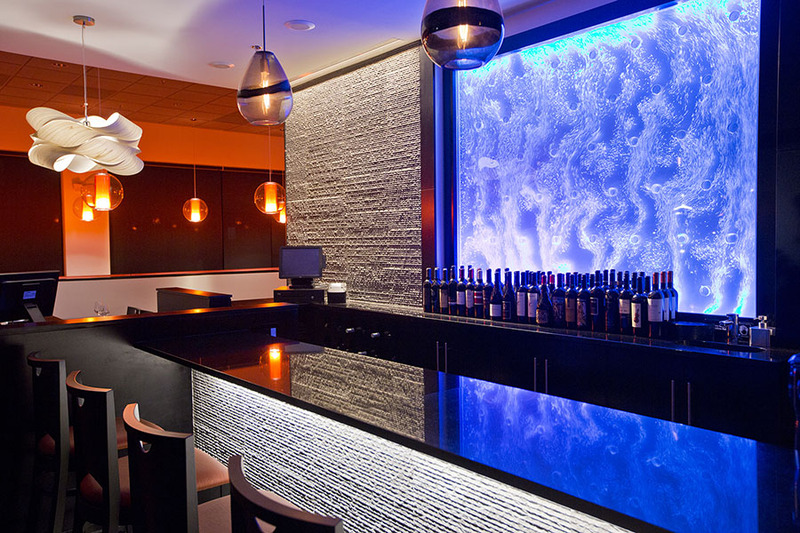 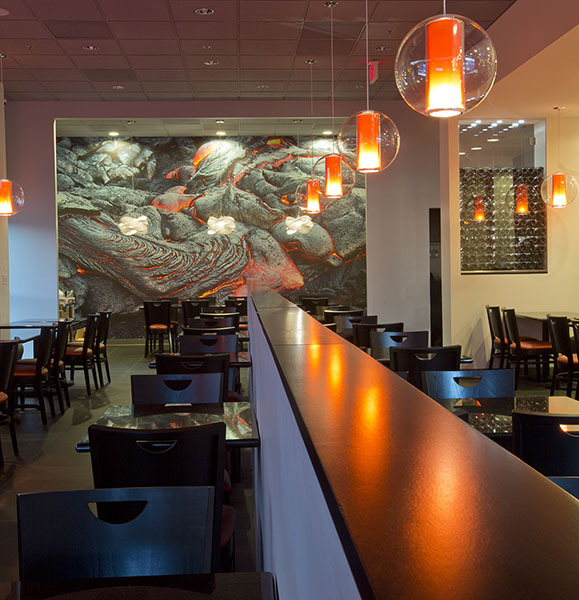 The porcelain tile throughout alludes to the gray volcanic stone, a large graphic wall of a volcano and lava brands the restaurant and creates a unique experience. 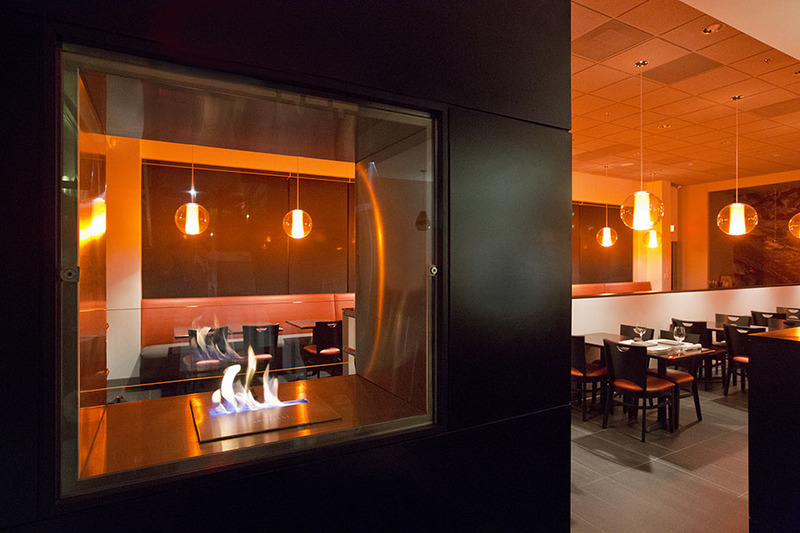 The bright orange/red fabric banquettes, grazed chiseled bar facade, LED lit bubble wall and ethanol fireplace add to the ambiance and strong brand identity.